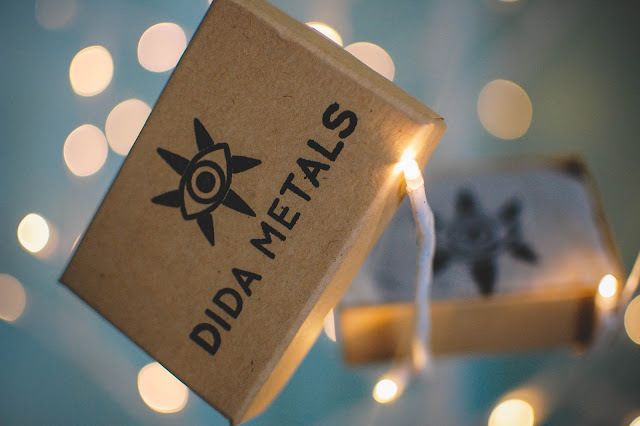 Dida Metals on Etsy is run by a talented metalsmith, Rachel Helinski. Rachel not only has a wicked way with silver and stones, she has a great nose too and is a fellow wax lover. 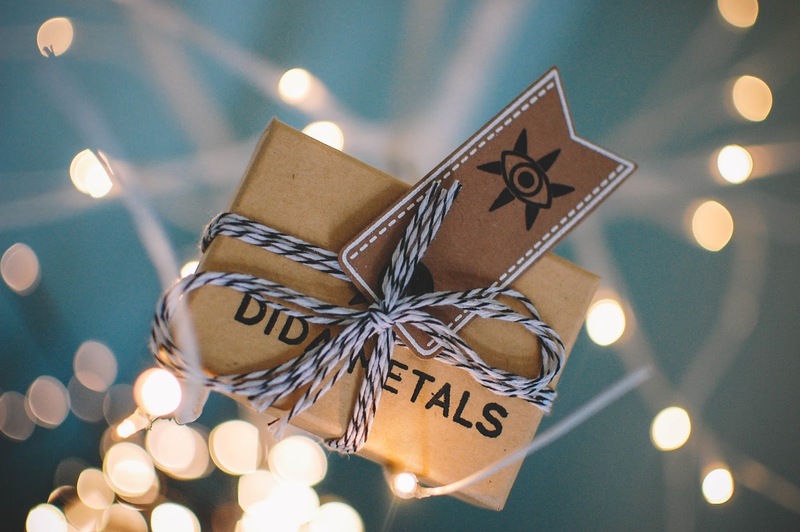 I ordered one of my first handcrafted silver rings from her earlier in the year. A stunning turquoise ring and a silver thumb ring I love wearing on the regular. Recently Rachel featured a couple of new necklaces on IG and I knew I wanted to bring one home. 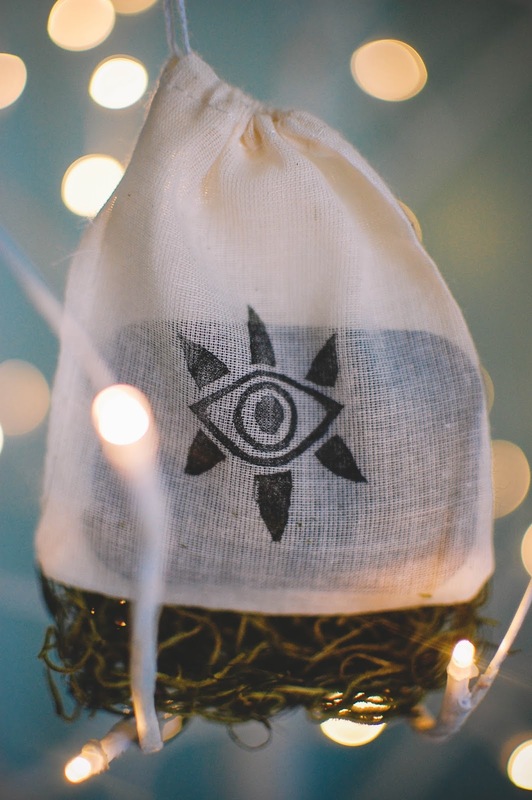 Rachel's packaging is fit for the best of gifting. 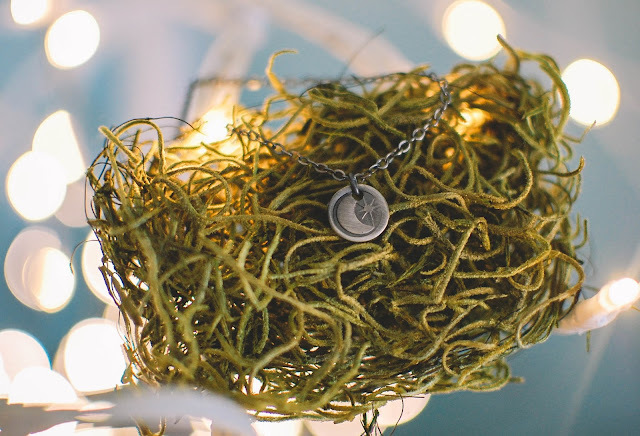 The necklace was showcased on a black placard, nestled into a stamped drawstring bag, lying on a bed of moss in a stamped box and tied with baker's twine. 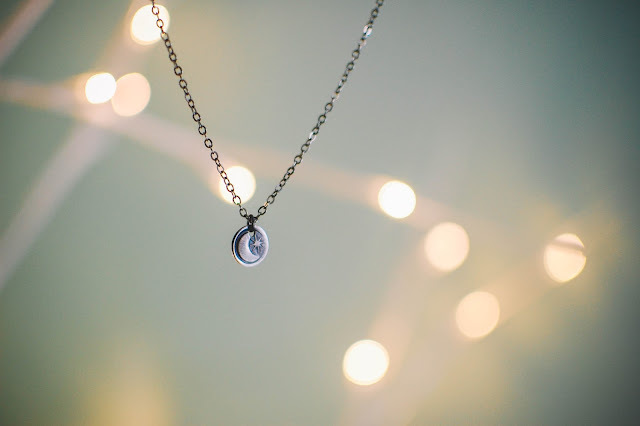 A simple 18'' silver necklace with a moon and star charm. 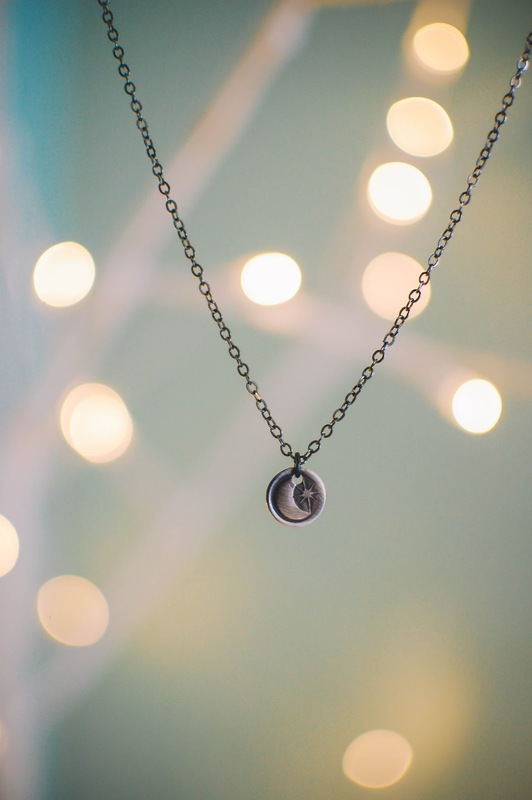 It is light and small, perfect for everyday wear or layering. I purchased it for $33 shipped via Instagram. I appreciate the simplistic beauty. 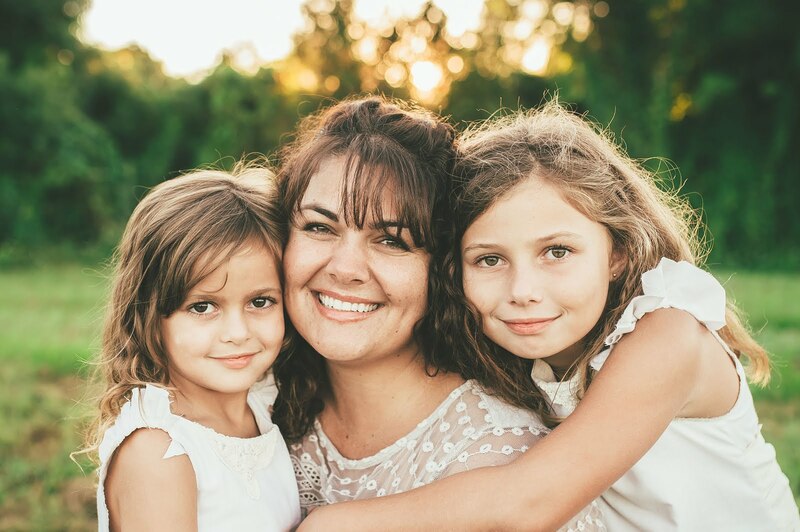 Rachel has amazing customer service, offers imaginative and beautiful jewelry. I keep eyeing her blue topaz midi ring and the Choros two stone ring. She also has a playful side that creates Pokemon rings and sweet Halloween jewelry. Check out Rachel's wares at Dida Metals. And say hello if you see her around in the wax groups. How beautiful! You find the most unique jewelry treasures. Thanks for sharing! Those really are sweet! And such lovely pics! 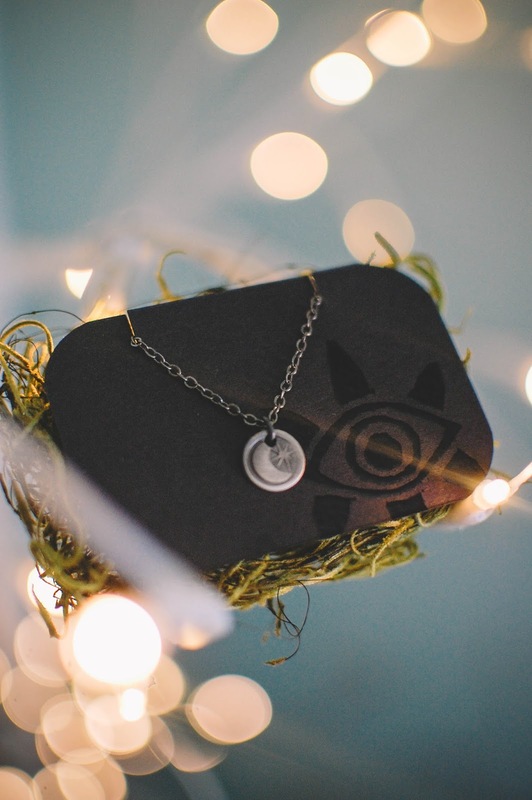 They are cute necklaces! And the price is pretty sweet too. I think Rachel has a couple left. Thank you for the kind words. I hope you have a nice time on your trip! !